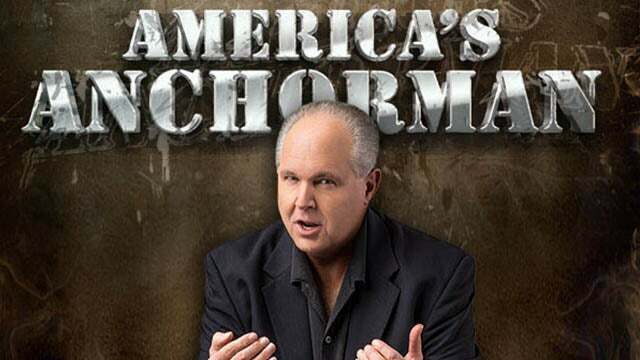 RUSH: We have Congressman Devin Nunes with us today to kick off the last hour of the program, 2 p.m. Eastern time today. He’ll be joining us showing an immense amount of courage. I mean, the entire deep state, the FBI, the CIA, just the entire Washington establishment is arrayed against Chairman Nunes and has been for quite a while. And I’m just gonna tell you, folks, as a little prelude here. Many of you in this audience — and I throw myself in the group, too — forever lamenting the, shall we say, lack of pushback, lack of courage, lack of fight on behalf of our guys or exhibited by our guys over the years, you should never have that claim about Devin Nunes. Devin Nunes, along with Trump — they are both pushing back. And I have to keep reminding people: This is what it looks like. It is never gonna be pretty. It’s never going to in any way, shape, manner or form be easy. And it’s never going to result in the deep state one day deciding it’s over and deciding to give it all up and accept the new norm of them not running the show. It’s never gonna be that way. It’s gonna be a battle to the death, to the end. It’s about people’s livelihoods, their lives, their careers, their self-image, their reputation. I mean, every human characteristic that we devise to tell ourselves we are important and we matter is on the line in this fight. And I know it would be great if more people admired and appreciated President Trump for what he’s trying to do, and I know it’d be great if there was a lot less acrimony and tension and chaos. But, if you advocate pushing back, if you advocate trying to reclaim your government or the establishment or whatever, if you try to diminish in any way the reach, the scope and the power of the ruling class, I mean, this is what it’s gonna look like. And once you sign up for it, you have to stay signed up. And the people that do, such as Congressman Nunes and President Trump, I think deserve ongoing gratitude and appreciation and a whole lot of slack cutting. This is not this kind of thing that can be done politely. It cannot be done within the realm of sophistication and manners. I mean, it’s too much at stake here for it to be pretty, for it to be admirable. I wouldn’t go so far as to call it a revolution, but it is a serious thing when you’re trying to claim power from people to whom they think it’s their birthright, and they’ve possessed it for longer than any of us have been alive. What in the hell does that mean? You make these guys at the FBI mad, and they can really come get you. What is that supposed to mean? And he says that with approval and advocacy, like as though he’s in favor of the nation’s premier law enforcement agent targeting people for their politics. It’s like when Chuck Schumer warned Trump, “You better be careful of these guys in the intelligence community. They can wipe you out six ways from Sunday,” which we know to be the case, but to advocate for that. And lest anybody have any doubt, I’m amazed at people who are just realizing this, but they are. I’ve read I don’t know how many pieces, media on our side — I’m talking about the conservative media, forget the left — who have come to a sudden shocking realization that the media is part of the establishment! I’m reading this, “Duh. You think that’s a revelation?” But, I mean, I’ll take it. I mean, the more people get it, the better. There are still people on our side who think that there is something to the Russian corrupting the election bit. There are still people who think that Trump may have colluded with the Russians. There are some who think that the effort to portray — well, there are some who think that despite any evidence that that kind of thing happened, that it’s still a likelihood. These are people supposedly on our side of the aisle. But I’m really… People who realized… (interruption) No, it doesn’t do me any good to name names. It really doesn’t. Snerdley is shouting, “Who are you talking about?” Folks, I don’t… I’m not comfortable with these contrived rivalries and so forth. My point here is not to call people out individually. It is simply to register my reaction when people suddenly realize something that, to me, has been obvious for over a year, and that is that the mainstream is the Democrat Party. The mainstream media is the Democrat agenda. The mainstream media is the party — and I mean party. The mainstream media is a party to and the party of the Democrat Party and the American left — and the particularly when they’re in power. The mainstream media is being used to help unseat a duly elected president. There are people in the media, on our side, today who are shocked. They wrote over the weekend and late last week that they’re shocked that the media tried to suppress the Nunes memo. And from this they are concluding that the media is obviously now part of the deep state. Well, welcome to the club. But this has been obvious for I don’t know how long. As I say, the more to the party, the merrier. But it is going to continue to be really chaotic and it’s gonna require a consistent commitment, and it’s got ups and downs. There are gonna be days where it looks like we’re winning and making progress. Then another day is gonna happen where it looks like all the progress and momentum has been lost. It’s a roller coaster, and you have to stay on the thing.